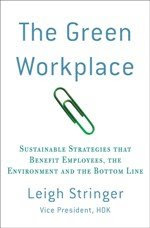 The Green Workplace: Cycling to be Green? What if you did something because you’re passionate about it and not because it’s “green”? But, that passionate thing you do contributes to greening our lifestyle, culture and environment. My passion is cycling and as a result of a few years mountain biking and then switching over to what we in the U.S. call “road biking” I extended this passion to commuting. I started not because of rising oil prices, traffic congestion, increased carbon emissions but simply because I like to ride. I must admit, given my travel schedule and other family commitments, my goal is modest by cycling at least 1 day a week but it’s a start. However, I’m looking at ways to increase that goal. For example, I’m encouraging my 10 year old daughter to cycle to school. We could ride together (on separate bikes), I would drop her off at school, then I would continue on to work and repeat the reverse later that afternoon. I’ll have to report back on the success of this one! Or, having my wife join me on her bike for a trip to the grocery store. As you might begin to see, for me, this is more about developing a culture around cycling – starting with my family – than being a green activist. At one point I was sharing with Greenette my passion and admitted it wasn’t my primary goal to make a difference in terms of being green but for the other reasons I’ve noted. For a moment I felt guilty or that maybe I should be telling people I decided to cycle to work because it’s more sustainable. Even the local NBC affiliate interviewed me for a story on Georgia’s economy hoping that I’d confess to “selling my car in exchange for a bike” in a response to the high gas prices. Greenette helped me see that we all can make a difference and it doesn’t have to start with saving the planet. Instead, it’s ok to find something you’re passionate about and then see how that can translate into improving our world – whether it’s reducing carbon emissions, improving your health, improving our culture or spending more time with your daughter. If you think cycling has to be complicated as we in the U.S. have made it out to be, I suggest you check out Mikael Colville-Andersen’s two blogs about cycling in Copenhagen: http://www.copenhagencyclechic.com and http://www.copenhagenize.com. He’s also written a piece for the LA Times Blog http://latimesblogs.latimes.com/bottleneck/2008/08/how-copenhagen.html. Over there, cycling is just part of their culture and it does not require a high end bike, special clothes or even a helmet (gasp!). The bikes are functional, easy to ride and you don’t have to give up fashion. It’s just part of their culture and one we can learn from. Years ago our family bought my father a mountain bike that he has made some mods to in order to make it more of a commuter. He's been riding to work now for about 10 years. He's 50s and is in great shape. Good for the environment and good for the heart. About time people understand that you can only abuse this planet for so long, you would not expect to treat your home in the same way and expect it to be fine.